You want better labelers with more uptime. 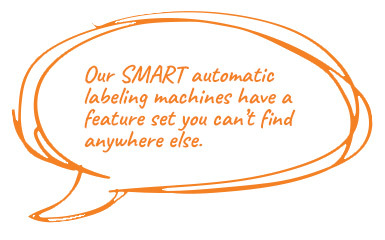 You want a smooth running automatic labeler that is made for quick changes and non-stop performance. At Nita, everyone – from our assemblers to our testers, to our service team – looks for ways to make our automatic labeling machines better. When innovation is the heart and soul of your company, every person becomes part of making better, more effective labelers. That’s the Nita way. high-precision guides and rulers found at all the key adjustment labeling machine stations around the machine to eliminate guess work when switching from one container to another. On top of building ultra high quality, reliable and efficient labelers, Nita prides itself on the most incredible service anywhere. We embrace you, the client as a partner in our shared success. And we give you the service we would want with the highest levels of professional and personal attention. That’s also a Nita difference. Learn more about our team or contact our helpful staff now!